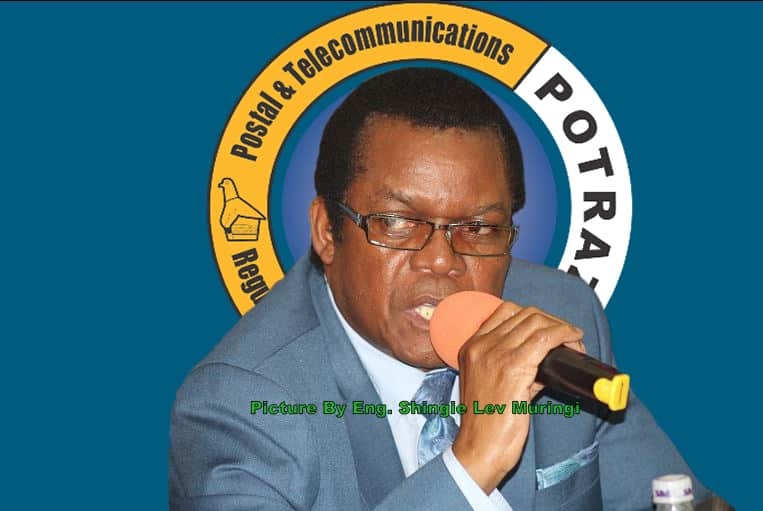 The Postal and Telecommunications Regulatory Authority of Zimbabwe (POTRAZ) Director General, Dr Gift Machengete says he will not be intimidated by mafia gangs after the state prosecutors failed to turn up for his trial at the Harare Magistrate Courts yesterday. The POTRAZ’s boss is being accused of criminal abuse of office after he allegedly approved the engagement of a local company to construct Containerized Village Information Centres valued at $1,494,104 without going to tender. In a dramatic twist of events during his trial yesterday, state prosecutors failed to turn up at the kick-off of the trial which was scheduled to start at nine o’clock, forcing Magistrate Mujaya to defer the matter to 11:30am. In a brief interview with the POTRAZ boss outside the Harare Magistrates Court, Machengete said he will not be intimidated by mafia gangs who are playing dirty tricks to tarnish his image when he is actually trying to align the regulator’s operations in line with the government’s vision of instilling clean corporate governance in all state owned entities. “I will wait for the 11:30 trial. I want justice to prevail . I cannot be intimidated by mafia gangs . I have national duties to perform and will do that without fear or favor to anyone who is trying to derail my vision of spearheading proper and innovative regulation of the telecommunications sector” said a visibly angry Machengete during the court break. The POTRAZ boss’s case was supposed to be heard at nine o’clock but state prosecutors were in a no show leaving Machengete’s defense team without an opponent in a case which promised fireworks should all parties managed to turn up. At 11:30 am, state prosecutors failed to turn again but rather send a note requesting the matter to be postponed to the 25th of March. This further irritated Machengete and his defense team which was very hesitant to accept another trial deferment citing several reasons that the case has been postponed many times which contravened the popular legal motion which says justice delayed is justice denied. After several consultations with court clerics, Machengete’s defense team which comprised of lawyer Farayi Zuva instructed by Selby Hwacha refused to disclose much to the media saying they will wait for the new trial date amid new revelations that the prosecuting was raising other charges lesser than the initially leveraged criminal abuse of office.